I enjoy uing my knowledge to help people. Mike Mathews was very nice. I got a return I wasn’t expecting or would have gotten if I had prepared my taxes on my own. I will definitely use him next year. I live 2 and a half hours away and it is worth the drive every year! 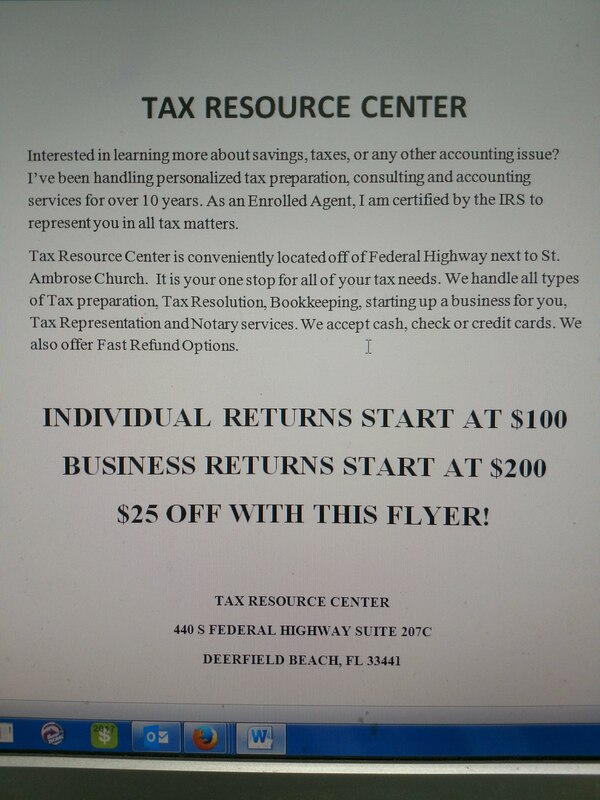 Tax Resource Center is concerned more about the client, and not just about themselves and that is what makes the difference for me. keep up the good work and I will keep on my journeys down there every year. I have clients from all over the country, some I see face to face and some not. I would do an initial consultation to find out the tax situation and then go from there. I have been preparing taxes for over 15 years. 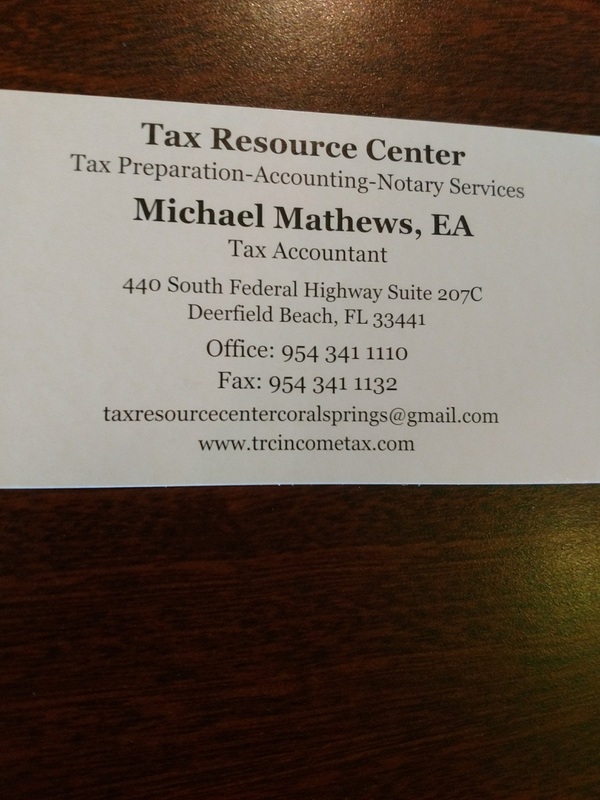 I have an accounting degree and am an Enrolled Agent through the IRS able to represent people. Typically individual returns start at $100 and business returns start at $200 and go up based on the complexity of the return. Bookkeepping is charged by the hour, notary service is by the amount of pages and signatures required, setting up a business depends on the structure and tax representation is by the hour. I started while I was in college learning and doing volunteer returns for senior citizens and low income people. I have worked with all types of clients, indidividuals, business, estates, trusts, non profit, foreign. Don't just go by price, look at the preparers experience as well. Make sure they give the entire situation, preparers need all the information to do the job correctly.